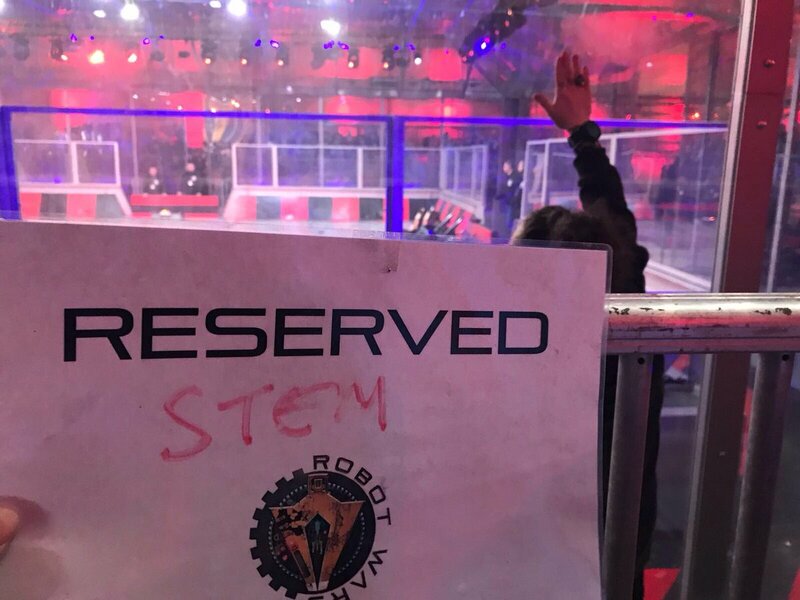 All About STEM: Behind the scenes at Robot Wars! What an amazing day we had behind the scenes at Robot Wars! It was our pleasure to take part in STEM Learning‘s latest Robotics CPD in Glasgow. 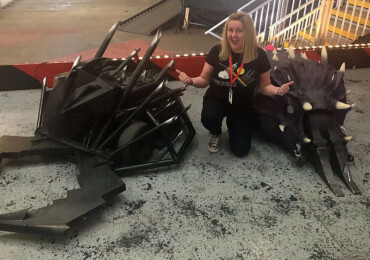 This exciting course offered teachers the chance to watch the filming of the new series of Robot Wars (due to be shown on BBC2), then with support from VEX Robotics, develop their own robotics resources to use in school. 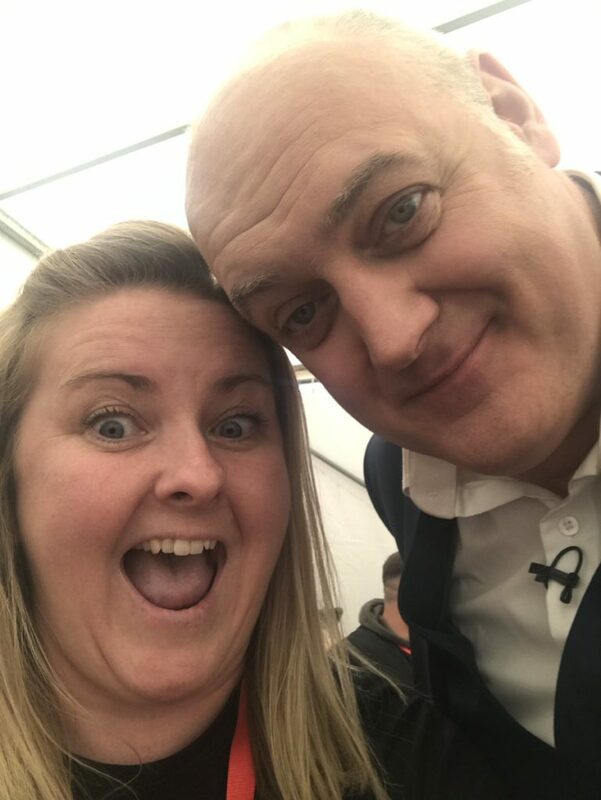 This was (by far) the best (and coolest) way to bring robotics into your STEM curriculum, we even had the chance to meet presenter Dara Ó Briain! “From looking at the individual robots and the engineering that went into them, it sparks many ideas which a teacher can quite easily bring back to their classroom.” Course participant. 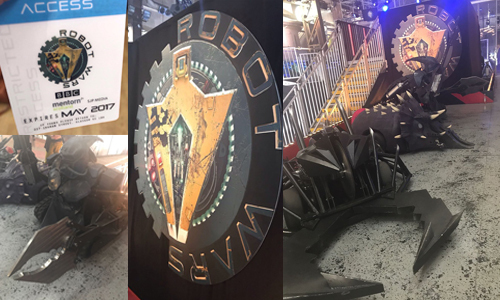 Day 1 included a VIP experience at Robot Wars in Glasgow – we met the teams, toured the arena and watched the battles! Day 2 was held at the National STEM Learning Centre in York. An opportunity to share ideas from Day 1 and get more robotics into STEM sessions. All About STEM Managing Director, Michelle Dow said: “WOW! It was great to hear so many inspiring teachers talking about robotics… and enjoying an amazing show! Getting hands-on and having fun with STEM is what All About STEM is all about, so I was overjoyed to attend this event as a guest of STEM Learning. The production team were fantastic, Dara was lovely and I wanted to bring the house robots home for our annual Robotics Challenge – our schools would love to meet them!